A former Minister of Aviation, Femi Fani-Kayode, who was acquitted and discharged of corruption charges Wednesday has announced a permanent change of surname to celebrate his victory in court. 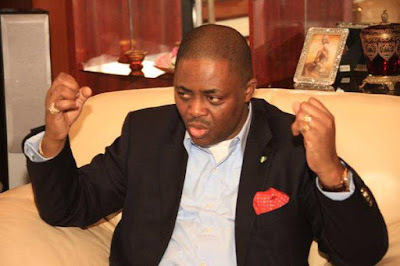 In a moving press statement released after the court gave judgment, Mr. Fani-Kayode said he was dropping the surname he has borne all his life for another – Olukayode – in appreciation to God, who he said proved to the world he was innocent of the charges slammed on him. “As a mark of honor and respect for the Lord and as an everlasting testimony of my love for and dedication to him, I wish to make it known to the Nigerian public that as from today my name will be changed,” the former minister said. “It will no longer be David Oluwafemi Fani-Kayode but instead, it shall be David Oluwafemi Olukayode. Olukayode means “the Lord has brought me joy” and today he has done precisely that. Read Mr. Fani-Kayode full statement below. It’s really moving and interesting.